Fr. 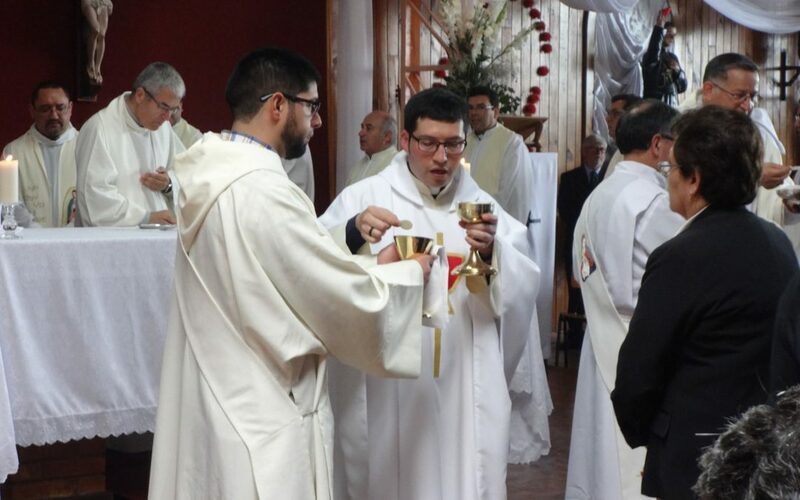 Diego Gallardo, C.PP.S., of the Chilean Vicariate, was ordained at Precious Blood Church in Valdivia on January 6, the birthday of our founder, St. Gaspar’s del Bufalo. Approximately 600 people were on hand for the liturgy in Valdivia. Archbishop René Rebolledo presided. The archbishop, a seminary classmate of Frs. Abelardo Ibaceta, C.PP.S., and Noe Lemus, C.PP.S., is a good friend of the Missionaries. Fr. Gallardo will serve as an associate at Precious Blood Church, where Fr. Omar Cerda, C.PP.S., is the pastor. To view photos of the ordination, visit our photo gallery. May God bless Fr. Gallardo and all who say yes to God’s call!